Why stop with clean windows at your home or business when you have dirty sidewalks, awnings and patio areas? 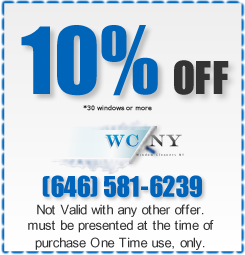 From the New York City, let Windows Cleaning NY be your one-stop shop for exterior cleaning. Windows Cleaning NY can remove the cobwebs, grease, mold, gum, or whatever else is keeping your property from looking its best. Our bonded and insured professionals can clean and brighten the entire exterior of your property – from sidewalks and facades to awnings, exterior trim and signage -- in addition to professionally cleaning the windows. Have you had to call a window cleaner to clean up the mess the pressure washing company left behind? Rather than coordinating two companies, rely on Windows Cleaning NY cross-trained professionals to take care of your windows and exterior cleaning needs after pressure washing.